A rarely available lateral first floor flat offering spacious accommodation in this prestigious private road, owned by the Crown Estate. The flat has an exceptional drawing room perfect for entertaining and separate dining room. Palace Green provide 24 hour security and gate keepers at both the north and south entrances and is situated a short walk from the shops restaurants and transport links of Kensington High Street. An exceptional 3rd floor duplex apartment with spacious accommodation which is ideal for entertaining. Overlooking Kensington Palace and gardens this is a prestigious private road owned by the Crown Estate has 24 hr police security with gate keepers at the south and north gate entrances. 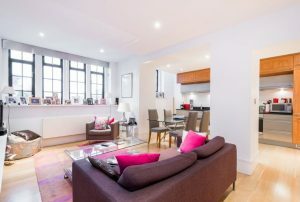 Situated a short walk from the shops, restaurants and underground of Kensington High Street. A unique newly refurbished period home in this prestigious location. The accommodation is arranged over 3 floors with an elegant ground floor dining kitchen and drawing room. The first floor master bedroom has wood floors with a luxurious walk in shower room with double vanity basins. Also on the first floor is a 2nd shower room and study / bedroom 5. Situated close to the famous shops and restaurants of Marylebone High Street and a short walk to Regents Park. 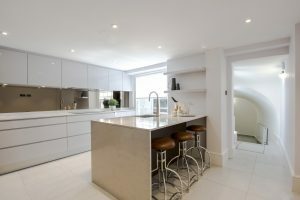 A stylish, south facing period house in Marylebone which has been completely refurbished to an exceptionally high standard with contemporary finishes and fittings. The attractive accommodation is arranged over 5 floors with beautiful hard wood flooring to all of the living rooms and master bedroom. There are 2 master bedrooms with en suite bathrooms, dressing areas and 2 further double bedrooms with a family bathroom on the top floor. A beautiful ground and garden maisonette with a private garden leading on to communal gardens. The ground floor has magnificent high ceilings and offers spacious executive accommodation. Situated close to the bustling cafes and shops of Clifton Road in Little Venice and just a few minutes walk from Warwick Avenue station. 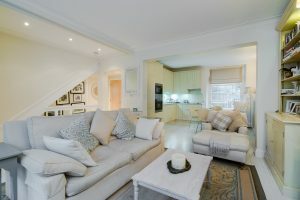 A refurbished ground and garden level two bedroom maisonette in this most sought after of addresses, offering the perfect pied-a-terre in Belgravia, with its own courtyard garden and also with the benefit of access to Eaton Square gardens. 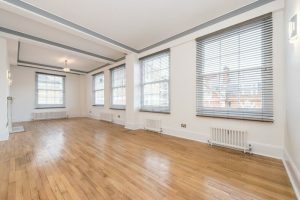 A well refurbished 3rd floor 4 bedroom flat with beautiful high ceilings and lovely wooden floors throughout. Situated in this red brick period mansion block with west facing views over Chiltern Street. Portman Mansions offers the benefits of lifts and 24 hour porters and is located close to Baker Street Station, Regents Park and the famous shops and cafes of Marylebone High Street. A fully refurbished duplex apartment of approximately 1,230 sq ft, in this private and characterful cobbled close, with access either directly from Hays Mews or via a portered entrance at 33 Hill Street. The flat provides a very spacious reception room with 5 windows overlooking Hays Mews, 2 double bedrooms, one with an en suite bathroom, a further shower room and an all new kitchen. The property is available with the benefit of an allocated garage space, porter and CCTV surveillance. Saddle Yard is situated in the heart of Mayfair close to Mount Street and the open spaces of Hyde Park and Green Park. Green Park and Hyde Park Corner tube stations are a short walk away. A stunning first and second floor maisonette in a magnificent period house which has been refurbished throughout to an amazingly high standard with beautiful hard wood floors, high ceilings and marble and granite bathrooms. Situated close to the famous restaurants and cafes of Little Venice and transport facilities of Warwick Avenue underground station. A spacious 4 double bedroom red brick house in this quiet enclave off Pimlico Green, close to the specialist shops with a lovely village atmosphere, a few moments from Sloane Square and a short walk to the excellent transport links at Victoria. The house is full of character and offers flexible accommodation over 4 floors with the additional benefits of a conservatory and a patio garden area. A bright and spacious three bedroom flat with lovely high ceilings on the 5th floor of this prestigious and popular development in Marylebone with the additional benefits of lifts and 24 hour Porters. The flat affords excellent living and entertaining space and also offers a master bedroom with good storage and a beautiful new en suite shower room, 2 further bedrooms with built in storage and a new family bathroom. A beautifully refurbished and rarely available duplex flat, in this popular pretty and quiet street. The property has contemporary décor, high quality finishes and offers living/dining space with open plan kitchen. There is also the added benefit of a second kitchen/utility space on the lower ground floor alongside an open plan office space. Moments away from the bustling Marylebone High Street, Regents Park and within easy access to both Bond Street and Baker Street stations. A super ground and first floor three bedroom maisonette with its own front and rear private patios in this charming mews. The house benefits from spacious bedrooms with good storage. Within easy walking distance of Regents Park and close to the all the amenities of Marylebone High Street and Baker Street. A stunning apartment in this new and eagerly awaited development in the heart of Victoria. This superb contemporary apartment is on the 7th floor and offers chic and stylish finishes, comfort cooling and under floor heating, with oak flooring to the reception and limestone tiling to the bathrooms The building offers every convenience including 24-hour concierge, underground parking, has excellent transport links with shops and restaurants on your doorstep. It is in is in close proximity to Belgravia and the Royal Parks. A newly decorated and attractive, light and bright 2 bedroom apartment on the first floor of this converted Victorian house. The flat offers good ceiling height and spacious well laid out accommodation. There are also the additional advantages of 2 balconies, excellent storage, and 2 bathrooms. 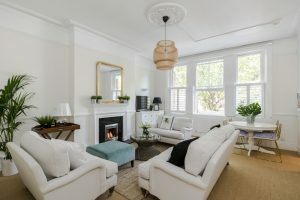 Sutherland Avenue is located close to Little Venice, with the shops and cafes of Formosa Street nearby and with both Warwick Avenue and Maida Vale tube stations within walking distance. Price is for a 6 month let inclusive of utilities, Subject to contract (fees apply). A beautiful 3 bedroom apartment on the second and third floors of a period house. The flat has wood floor throughout and offers an abundance of light. Situated close to the shops, restaurants and transport of Baker Street and a short stroll to Regents Park. A modern 5th floor two bedroom lateral flat of approximately 750 sq ft in this purpose built block. Located in the heart of Marylebone village close to the bustling cafes and shops of Marylebone High Street and Regents Park. A refurbished and professionally interior designed two bedroom apartment in this sought after 24 hour portered block located just off Baker Street. Two minutes' walk to Baker Street underground station and moments away from Regents Park. The buildings grand external entrance has been painstakingly restored displaying original Art Deco relief work, complete with a convenient 24 hour porters desk and an impressive driveway. 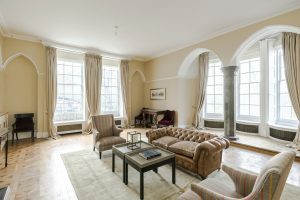 The apartment has been furnished to a high standard with several bespoke items, complete with an imposing hallway of joinery, original art work, a wine cooler, an open bio fire, oak floors, large built-in apple TV and silk curtains throughout. 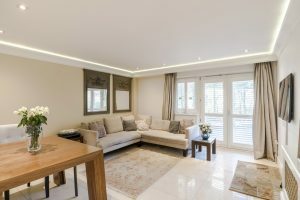 The property comprises of two bedrooms, one marble bathroom, a guest limestone bathroom, a kitchen with built-in appliances, limestone floors, granite work tops, underfloor heating and a spacious separate dining room table seating up to eight people, with access to a second balcony. Both bedrooms and the dining room give direct access to a lovely outside seating area. 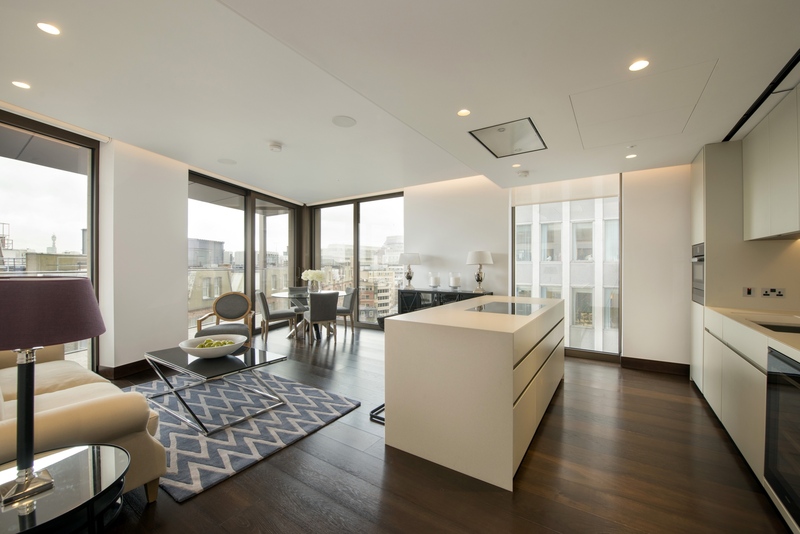 Four rooms boast full height glass doors with access to a private balcony providing a comforting sense of space and light throughout the apartment. The master bedroom has a bespoke silk headboard, both bedrooms offer fully fitted wardrobes and ample storage. This property provides easy access to a variety of specialist health food stores, boutiques, artisan coffee shops, hotels, restaurants, spas, yoga studios and gyms in the immediate area. A well- proportioned 4th floor 2 bedroom apartment offering spacious and bright accommodation, comprising a living / dining room, two double bedrooms, one with an en suite shower room and a further bathroom. Chiltern Court is a prestigious and well maintained block located above Baker Street Station, so well positioned for all travel links. A short walk from both Regents Park and Marylebone High Street and offers the benefit of lifts and 24 hour porters. A modern first floor 2 bedroom flat in this unique development designed by Seth Stein, this period Victorian gated property has been lovingly refurbished with solid natural oiled oak floors throughout to provide stunning accommodation. Situated close to the shops and restaurants of Chiltern Street and Marylebone High Street with the excellent transport links at Baker Street close by. A newly refurbished sixth floor apartment with wood floors and huge private south facing roof terrace. The flat has a brand new kitchen, en suite bathroom and guest cloakroom. Situated in a secure block with 24hr porterage, lift, private gym and communal paved garden area. Close to the village shops of Crawford Street and a short walk to Marble Arch and Hyde Park. A delightful bright, 2 bedroom 8th floor apartment in a portered block with lovely views. Close to the extensive range of shops, restaurants and the undergrounds of Swiss Cottage and St Johns Wood. A fabulous newly refurbished third floor flat in this popular block located in the heart of West Hampstead. The apartments offers 3 double bedrooms all with good storage (one with an en suite shower room), a family bathroom, a living/dining room with wood floor and an all new kitchen. Close to all the shops bars and restaurants and a short walk to both West Hampstead tube and British Rail stations. A super and stylish one bedroom ground floor apartment in this popular purpose built development offering the additional benefit of a terrace off the reception room. Richbourne Court also offers an excellent Porter service and affords good security and is close to transport links at Marylebone, Paddington and Edgware Road. A recently decorated two bedroom second floor flat in this converted period house situated a few moments' walk from Marylebone station and a short stroll from Marylebone High Street with its bustling shops and restaurants. The flat has neutral decor and offers an open plan kitchen to the living space, a double bedroom with an en-suite shower room, a second double bedroom, and a further shower room. A refurbished ground floor flat in this secure development with neutral décor, white walls and dark wood floors throughout. The flat also has its own private paved patio garden. 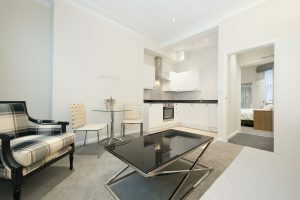 Located very close to Marylebone Station and within easy access to St John's Wood High Street. A one bedroom ground floor flat in this converted period house, situated a few moment's walk from Marylebone station and a short stroll from Marylebone High Street with its bustling shops and restaurants. The flat is refurbished, has neutral decor and offers an open plan kitchen to the living space, and a bathroom with a walk-in shower. 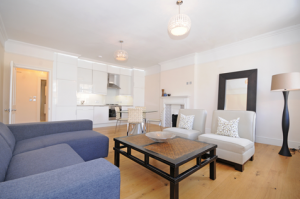 A lovely 1st floor studio flat in the heart of Marylebone village, ideal as a pied a terre. The property is located just off Marylebone High Street and a short walk from Bond Street tube station, with Hyde Park close by.